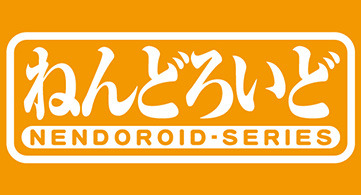 Other Nendoroid figure not included. 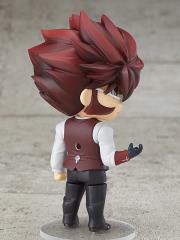 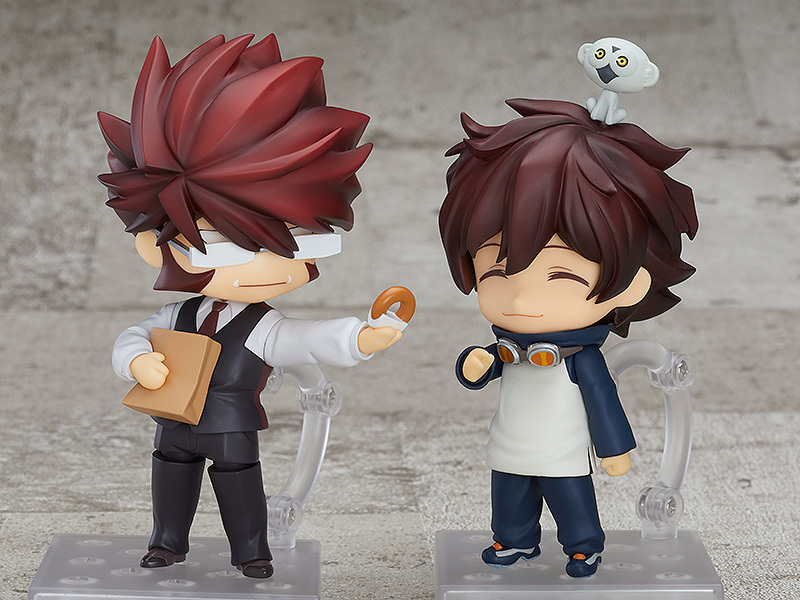 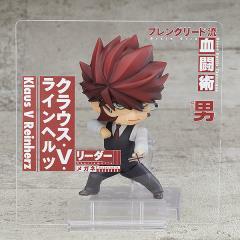 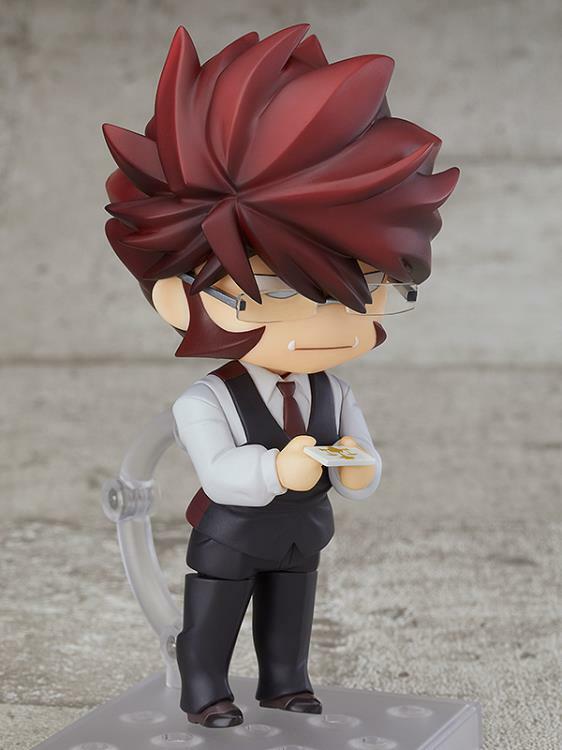 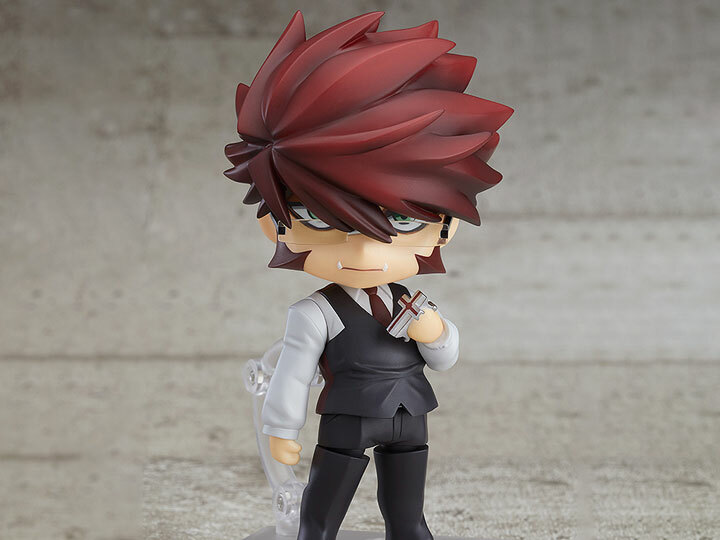 From the anime series Blood Blockade Battlefront & Beyond comes a Nendoroid of the leader of Libra and user of the Brain Grid Blood Battle Technique, Klaus V Reinherz! 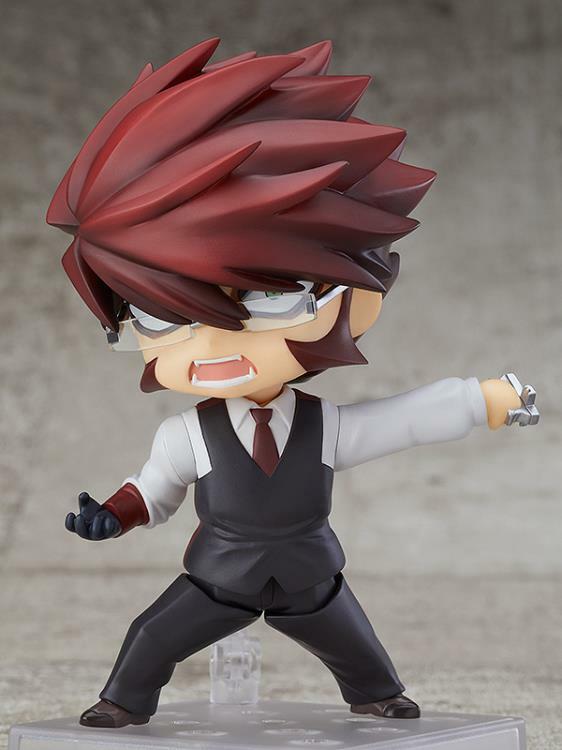 He comes with three faceplates including a standard masculine expression, an intimidating combat expression, and a calm expression for more gentle poses. He comes with a knuckle guard, hand parts wearing gloves, business card, a donut, and a brown paper bag. 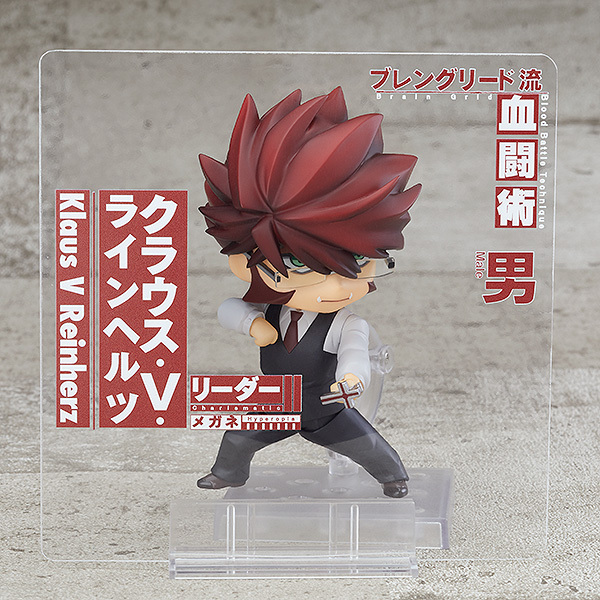 He also comes with a clear plate with text based on his character introduction which can be placed in front of him! Includes a text plate with his name!